When you take a photograph with a digital camera, you expect it to last for a lifetime. It won’t fade, it can’t be torn up, fall down the back of the bookcase, or get lost when you move house. 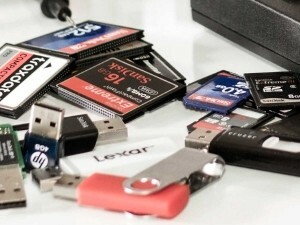 Unfortunately, sometimes Compact Flash cards, hard drives, or USB sticks fail, with the result that your precious photographic memories disappear as quickly as you took the original snap. That’s when you can rely on Belgium Data Recovery to help, just as we’ve helped thousands of other keen photographers – both amateurs and professionals. Naturally, we can’t guarantee that we will be able to recover your data, but we have extensive experience of recovering lost photographs and videos, on everything from SD cards through laptops to external hard drives. Every case is slightly different, and there are lots of causes for photographic data loss, but we’ve almost certainly resolved a similar problem before for a previous satisfied customer. Many people think that if they’ve deleted files, that means they’re gone for good. Not so. We have recovered thousands of digital photographs, reuniting them with their happy owners. Even if the storage device is physically damaged following a natural disaster such as a flood, we can often still recover the lost files. Sometimes we can even carry out recovery remotely, making it even easier and quicker for you. We always get the best results from working on a storage medium immediately after the loss has occurred. So don’t delay or try to recover the data yourself – or even worse, keep using your device, which can result in even greater damage or permanent loss. The sooner you contact Belgium Data Recovery, the more chance we have of restoring your data. And remember – we always offer a “No data, no fee” guarantee for memory card data recovery .